Scent: Crisp, earthy, sweet, herbaceous, with almost a hidden fruity note. Action: Antiseptic, astringent, antirheumatic, antispasmodic, carminative, depurative, diuretic, rubefacient, stimulant, stomachic, sudorific, vulnerary, tonic, digestive stimulant, depurative, detoxifier. Benefits, Indications: Acne, dermatitis, eczema, gout, depression fatigue, liver problems, sore muscles, rheumatism, ulcers, urinary infections, fluid retention, wounds. May work as a detoxifier and a cleanser, as well as being beneficial to the skin. It may assist with nerve regeneration. More Info: Juniper oil can help calm the nerves, relieves anxiety, nervous tension and mental exhaustion. It is helpful when the prostate gland is enlarged and is used to help with the inability to pass urine, in cases of cystitis and kidney stones. It is also helpful for cellulite and fluid retention. Juniper oil generally helps with the digestive system, particularly in cases of obesity, over-indulgence of food and premenstrual bloating. For the liver, it has a tonic effect and also helps regulate the menstrual cycle and eases painful period pains. It assists with the elimination of uric acid and therefore relieves pain in cases of gout, rheumatism and arthritis. Apart from this, juniper oil is also very effective for acne, eczema, oily skin, weeping eczema, psoriasis and dandruff and alleviates inflammation. Companion Oils: Bergamot, all citrus oils, cypress, geranium, lavender, tea tree, rosemary CT cineol, cedarwood, lavandin, vetiver, clary sage, lemongrass. 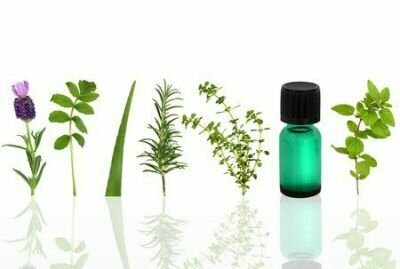 Precautions: It is considered nontoxic but since it can stimulate the uterine muscle it should not be used during pregnancy, nor by people with kidney problems. It is non-sensitizing, but some people do have a reaction to it, and it is generally wise to us this oil in moderation.